Today on the Building Windows 8 blog Microsoft delivered yet another weighty digital tome, this time concerning the graphical performance of its forthcoming operating system. 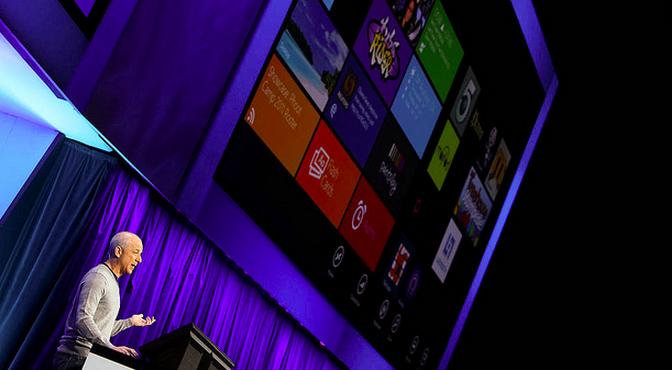 As you might imagine, Windows 8 comes out on top of its soon-to-be predecessor, Windows 7. Now, condensing the massive article into something that a mortal might read and understand is a task, but one that TNW is more than happy to undertake for you. Here’s the rough lay of the land: Microsoft wants Windows 8 to allow for hardware accelerated Metro-style apps, extend DirectX to do even more than it has in the past, and make graphical rendering faster than it has been. That’s quite impressive. Now, individual app performance will differ for developers (your mileage will vary and the like), but those results are hardly discouraging. What’s a TIR? Essentially, it’s a tool that allows a CPU to spend less time on tessellation, rapidly moving draw instructions over to its GPU. Now, this will only work with a GPU that is designed for Windows 8, and runs DirectX 11.1, but in such cases, performance is quite impressive, when compared to systems that don’t support TIR. Along with text and geometry, Microsoft has worked to speed up ‘decoding and rendering’ of images in Windows 8. All together, these improvements are ‘under the hood,’ but should lead to an improved experience for end users by allowing their apps to run more smoothly, and at faster rates. This is the sort of work that most never hear about, even as they depend on it. A final note: by creating new tools, and working hard on performance, Microsoft is making the job of third-party developers easier, prettying Windows 8 up several notches. That could lead to more total development in the Windows 8 ecosystem.